The Kilkenny historian Healy quoted Betham’s account from an abridged transcription by Blake-Forster, and it was accepted with variations by many 19th century historians, including John G.A. Prim, who perpetuated the misunderstanding that the Comerfords of Kilkenny originated in Staffordshire. Comberford is a small hamlet in south Staffordshire, a few miles north of Tamworth and east of Lichfield, and on the banks of the River Tame. The Comberford family, which took its name from the village, dominated the political life of Tamworth for a few decades in the 17th century, and gave its name to the Comberford Chapel, where some of the most prominent family members were buried, in Saint Editha’s, the town’s parish church. However, the Comberford family fell foul of the political turmoils of the civil war, and a royalist and Catholic branch of the family appears to have become extinct in the 1660s, unable to pass its claims to a junior, but Quaker and ex-Parliamentarian branch of the family in neighbouring Shropshire. A plaque erected in the Comberford Chapel in Saint Editha’s in 1725 claims the Comerfords of Ireland were a branch of the Comberford family, and a similar claim is made, through the use of the coat-of-arms of the Comberfords of Tamworth, in a monument erected about the same time in Saint Mary’s Church in Callan, Co Kilkenny. Pedigrees embellishing the ancestral claims of the “Old English” families were commonplace in south-east Ireland from the 16th century, and similar fanciful genealogies were constructed, for example, for the Grace, Langton and Shee families of Kilkenny. However, the origins of the Comerford family of south-east Ireland are to be found not in a Staffordshire family of royalists, recusants and Quakers, but with a less prosperous family whose origins can be traced to the village of Quemerford in Wiltshire in south-west England. Quemerford is one of the ten tithings in the parish of Calne, in Wiltshire, and one of the six wards of Calne. As a suburb of Calne, Quemerford is about a mile south-east of the town centre of Calne on A4 road from Chippenham to Marlborough, and 28 miles north-west of Salisbury. An early 19th century milestone on the south side of the main road, opposite No 327 Quemerford is inscribed “86 miles from London, 20 to Bath.” The River Marden, on its way into the Avon, passes through Quemerford and Calne, which stand also on a branch of the Wiltshire and Berkshire canals. Before the Norman Conquest of England, the land of Quemerford was almost certainly part of the king’s estate at Calne. As part of the remainder of that estate, later called Calne Manor, most of it was probably granted to Fulk de Cauntelo ca 1199. The rest evidently lay in holdings which were granted away piecemeal from the king’s estate or from Calne Manor. Presumably as part of land that was probably granted to Fulk de Cauntelo ca 1199, the lord of Calne manor held four yardlands in Quemerford which in 1274 was described as bureland, perhaps suggesting that it was demesne land converted to customary tenure; it was later called Bowers Manor. According to etymologists, the name is derived from the Old English Cynemaeres-ford, meaning the ford at the royal (cyne) boundary (maere) or lake (mere). The 19th century Wiltshire historian and antiquarian, Canon John Edward Jackson, said the name had been written “fantastically” as Quemerford as far back as the reign of Edward I, and pointed out that it had been written also as Comerford and Kemerford. The etymologist Ekwall notes the early variants of the name include Camerford (1204), Kemerford (1226-1228), Quemerford (1240-1245), Cameresford (1292), and Quemerforde (1294). Calne is one of the oldest market towns in Wiltshire, and the parish website says the town has one of the longest histories in Wiltshire. The first farmers to settle in England left such monuments as West Kennett, Long Barrow, Avebury and Silbury Hill. However, those same farmers would have lived in the warmer bottomlands in settlements such as Calne. In addition to ancient farmers, the area surrounding Calne was inhabited and used extensively by the Romans who lived there from 55 AD. 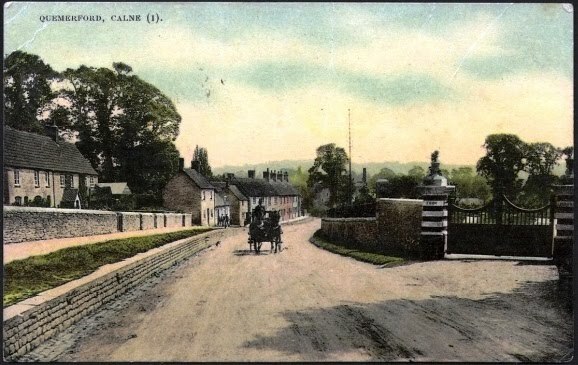 The present town of Calne in supposed to have risen from the ruins of a Roman station on the opposite side of the river, near the town of Studley. Many items of pottery and other finds, including some in Quemerford, confirm the presence of the Romans, and the major Roman road of the time, from London to Bath, passed very close to Calne through Sandy Lane where the Roman town of Verluccio once stood. Three miles east of Calne, a 157 ft long figure of a horse is cut in a chalk hill. Tradition identifies this as the site as a residence of the West Saxon or Wessex monarchy, although there are no remains. The first recorded mention of the town is in the will of King Edred in 955. Calne was probably laid out as a deliberate settlement during the Anglo-Saxon period, when it was described as a villa regia, meaning a place on crown land. In 977, Archbishop Dunstan of Canterbury presided at a synod in Calne to settle a dispute between monks and secular clergy. During the synod, the floor of the chapter gave way, and several secular priests were killed although Dunstan and the monks escaped unhurt. In the Norman Survey, Cauna was a royal demesne. The present Parish Church of Saint Mary the Virgin, standing on the site of an earlier Saxon minster, dates from the 12th century. Saint Edmund of Canterbury was the Rector of Calne when he was elected Archbishop in 1234. Later, in the reign of Edward I (1274-1307), Calne sent its first members to Parliament. Traditionally the patron of the living was the Treasurer of Salisbury Cathedral. The parish register of Calne dates from 1529, and Saint Mary’s contains several monuments, including one in the south porch commemorating Inverto Boswell, a gypsy king who died in 1774. The outer appearance of Saint Mary’s, a skilful blend of stone masons’ art of five centuries, is perpendicular, a feast of embattled parapets and pinnacles. The pinnacled 17th century north transept tower was erected by Inigo Jones, replacing the fallen crossing tower. Inside, the transitional Norman nave is surmounted by a 15th century clerestory covered by a wooden roof from the same period. There is a chantry chapel dedicated to Saint Edmund, and the church treasures range from an early Elizabethan chest to fine early 20th century Arts and Crafts screens. The town was at its most prosperous during the Tudor Period when the woollen industry was at its peak. Like many other towns in this part of Wiltshire, Calne prospered through the profitable wool trade, and was able to pay for the construction of many fine buildings, including Saint Mary’s Church, which is known as a “wool church” and the “cathedral of north Wiltshire.” Other buildings funded in a similar way can be found on The Green. Written records for the town were firmly established in the 16th century, when the Guild Stewards of Calne opened a book recording local events. For instance, there were many complaints regarding the lack of pay for soldiers enlisted from Calne to serve in Queen Elizabeth’s army. One of England’s great parliamentarians, John Pym (1584-1643), was MP for Calne during the reign of Charles I. One of the major battles of the Civil War was fought at Roundway Down, just south of the town, and was won easily by the royalists. At about the same time, the Great Plague swept the area on two occasions. The Manor of Calne belonged to the Cantilupe and Zouche families before passing to the FitzMaurice family, Marquesses of Lansdowne, whose seats include Bowood Park on the outskirts of Calne. Between 1772 and 1779, the Revd Joseph Priestley (1733-1804) lived at No 19 The Green, Calne, while he was the librarian at Bowood Park to the Earl of Shelburne, who became Prime Minister in 1782 and Marquess of Lansdowne in 1784. Priestley is reputed to have “discovered oxygen” during the experiments he carried out at Doctor’s Pond on the river at the east side of the town. During the same period, the Dutch physician Jan Ingenhousz (1730-1799), while working at Bowood, discovered the procedure now commonly known as vaccination. He is buried in Saint Mary’s churchyard. The poet Samuel Taylor Coleridge (1772-1834), author of The Rhyme of the Ancient Mariner and Kubla Khan, lived in a house in Church Street opposite Saint Mary’s, Calne, and the historian and poet, Thomas Babbington Macaulay (1800-1859), was MP for Calne in the 19th century. Because of its location on the road between Bristol and London, Calne became a favoured overnight resting place for travellers on long journeys. This income sustained the local economy following the decline of the woollen industry. The Wiltshire and Berkshire Canal was completed in 1802, but it could not match the economic advantage of the railway, which arrived in Calne in 1863. The decline in the woollen industry could have spelled economic disaster for Calne, but the town’s fortunes received a new boost in the 1800s with the establishment of the Harris bacon-curing factory in the town centre. The Harris business dated from the 1770s, with the opportunity to process fattened pigs from Ireland being driven from Bristol to London through Calne before the advent of the railway. The Harris factory encouraged other industries, including the Maundrell factory, which specialised in processing equipment and agricultural machinery. At its height, the Harris factory employed almost 2,000 workers. It closed in 1983, and was demolished in 1984-1985. The closure and demolition of the Harris factory left a void in the town’s physical fabric and its social heart. The old town hall in the High Street was demolished in 1883 and it was replaced by a new Town Hall, designed by a local architect, T. Oliver, was built on the site of the Town Mill on The Strand and completed in 1886. But many of the older buildings in Calne were demolished between the 1960s and the 1980s, and the layout of the town’s streets was severely and tragically altered with the realignment of the A4 between 1964 and 1985, which was marked by a celebrated cartoon by Larry in Punch. Although it has taken almost two decades, the regeneration of Calne’s town centre is almost complete. A new library, opened in 2001, has received acclaim and architectural recognition. The town, with its narrow streets, old yellow-stone buildings, cobbled courtyards and lanes, and its attractive Green, riverside walks, historic coaching inns and pubs, is an attractive and welcoming place for visitors and tourists. Quemerford Ward within Calne Town Council embraces the following streets and areas: Bay Close, Brewers Lane, Charlieu Avenue, Churchill Close, Ebor Gardens, Ebor Paddock, Elm Close, Fairwall, Horsebrook Park, John Bentley School, Lake View, London Road (including Howard Close), Meadow View, Oldbury Prior, Orchard Close, Quemerford (including Fir Grove and The Crescent), Riverside, Stockley Lane, Stockley Road, The Green (east side), The Rise, The Willows, Thomas Court, Trinity Park, Wessington Avenue, Wessington Court and Wessington Park (including The Round House). A double circle of hills girt the site of Calne, like an inner and outer rampart, promising protection from attack and from the elements. The inner rampart begins near Quemerford with a long hill that curves gradually round to the well. Archaeological digs in Quemerford have found some Roman remains, However, Quemerford is not mentioned in the Domesday Survey, and the early patterns of settlement in Quemerford and the surrounding area are obscure. It is possible that a village of small farmsteads, from which the open fields were worked, was planted when, presumably in the earlier Middle Ages, the fields were laid out. It is likely that mills stood at Quemerford on the Marden near where the river is crossed by the London-Bristol road, and that the name Quemerford is likely to have been applied first to a settlement at or near this river crossing. These suggest that, if there was such a village, its centre was near this crossing. There is no direct evidence of such a village, and the great distance of the open fields from the crossing casts doubt on its existence, and also on the possibility that the dispersed farmsteads were built on enclosures of extensive and formerly common pasture between the open fields and the Marden to replace it. It is more likely that no such village existed, that the farmsteads stood on sites enclosed and in use for farmsteads before the open fields were laid out, and that the assignment of open-field land was not accompanied, as it apparently was at Eastman Street, by the planting of a new village. The land of Quemerford lay east of Calne and included open fields to the east, and a chapel may have stood at Quemerford in the mid-13th century. By 1257, Quemerford was held by Patrick de Chaworth as part of the former possessions of Ernulf de Hesding. After the last of the Quemerford family, Nicholas Quemerford, left the area ca 1344, I can find no further record of the family in the area. In 1353, the name of the village is spelt Kemerford, but it is spelt Quemerford again in 1382. Quemerford had 45 people paying the poll tax in 1377. In 1386, John Blake is living in Quemerford. The River Marden had apparently been bridged at the ford at Quemerford by 1391, when a burgess of Bristol gave money to maintain a bridge between Calne and Cherhill. In 1441, Quemerford is known as Comerford. The Blake family appears to have continued living there for over a century until 1500, when another John Blake granted his capital messuage in Comerford [sic] to Will[iam] Raynold or Reynold of Trourbridge. By 1504, Comerford had the status of a manor and on 4 December that year Will Raynalds transferred the manor to Rich[ard] Fynamore (died 1522), the Lord of Whetham Manor. With this sale, the Fynamore or Phillimore family acquired Quemerford, along with the 13th and 14th century documents relating to the village that allow us to trace the early members of the family shortly before they moved to Ireland. The estate descended with the manor in the Fynemore family and to Sir John Ernle, who died in 1648. Another estate was conveyed by Thomas Blake, who had died by 1599, to Henry Chivers in 1560. When Henry Chivers died in 1587, that estate passed in turn to his son Roger Chivers, who died in 1602 and to Roger’s son Henry Chivers, who by 1639 had bought Sir John Ernle’s estate. The estate of the younger Henry Chivers presumably passed to his son Seacole Chivers. His son, Henry Chivers, who died in 1720, devised it to his wife Bridget for life with reversion to his grandson Henry Vince, who died in 1748. In 1728, Vince held about 187 acres at Quemerford, including a home farm later called Hayle Farm. Henry Vince’s son and heir, Henry Vince, was a minor and by order of Chancery the estate was vested in trustees in 1757, and most of it was sold in portions in 1758-1759. In 1759, the trustees sold the principal house on the Quemerford estate, about 11 acres, and the mill at Quemerford, later called Lower Mill, to John Gaby, and about 21 acres, and Upper Mill to Stephen Heale. By 1764, Gaby’s estate had been acquired by Ralph Heale. In 1728, Calne and Calstone Manor included about 450 acres and pasture rights in Quemerford. The land lay mainly in six farms, of which the largest were Sands, Lower Sands, Quemerford, and Quemerford Common. Henry Vince, who died in 1748, held a 58-acre farm at Quemerford that passed to his son Henry Vince, who sold it in 1776 to William Petty-FitzMaurice (1737-1805), 2nd Earl of Shelburne. Shelburne was born in Dublin, and later, as Marquess of Lansdowne, was British Prime Minister 1782-1783. Much of the land in Quemerford descended with Calne and Calstone manors and from 1763 with Bowood House. After 1776, the former Vince family farm also descended with the other Lansdowne lands at Quemerford. Quemerford House, the principal house in Quemerford, probably stands on the site of earlier houses representing the principal house in the village. 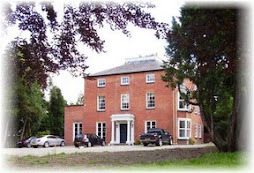 The present Quemerford House is a Grade II listed building that was rebuilt in the late 18th or early 19th century. It is a two-storey house with three dormer windows, a Welsh slate roof with coped gables and moulded ashlar. At the front, the house is double-flanked with splayed three window bays rising to full height, recessed sash windows with glazing bars, and a round-arched first-floor central window. There is a round-arched, architrave doorway with moulded imposts, key, a radial fanlight and a panelled door. At the rear of Quemerford House, there is an out-building with transom and mullion windows in Tudor-style, partly blocked. From the mid-17th century or earlier, a mill stood about 450 metres north of Quemerford Bridge, and Quemerford House and the mills, later called Lower Mill and Upper Mill, stood near the bridge and south of the road. Quemerford Bridge was widened in 1823. Immediately east of Quemerford Bridge, Quemerford Lower Mill is a five-storey building that was rebuilt as a cloth factory in the 1790s. The wool trade in Calne declined in the early 19th century, and in 1841 Quemerford Lower Mill was converted into a grist or corn mill. In the period 1903-1918, the mill was owned by Messrs Proud, Taylor and Collen, later Proud Brothers. It was recently converted into apartments. The Mill House is a villa built beside the factory about 1850 and restored more recently. Quemerford Upper Mill was enlarged around 1860. It was operated by Rawlings and Phillips Ltd, which opened a new building in December 1935, built by Blackford & Son. The business later passed to Rank Hovis McDougall Ltd and then to Dalgety Ltd, which used the mill as a distribution centre. The modern mill was demolished in 1986, leaving only the original stone buildings, which were recently converted into apartments. Between 1843 and 1885, several stone houses and cottages were built on the north side of London Road, east of the bridge, probably for the staff and workers in Upper Mill and Lower Mill. 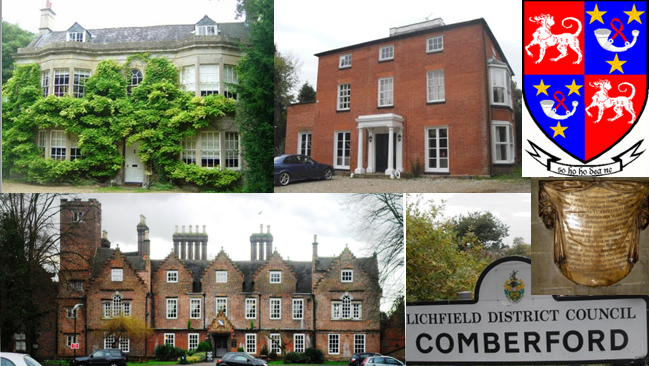 These houses include No 175 Quemerford, Prospect House, a symmetrical three-bayed villa. The cottages stand in terraces of various lengths; most are of two bays and two storeys and faced in stone, and some have mullioned windows. Holy Trinity Church, Quemerford, was built in 1852 (according to faded inscription in the porch) on the north side of the London Road, between Calne and Quemerford, as a chapel-of-ease to Saint Mary’s Church in Calne. The church was built largely at the cost of the Revd Canon John Guthries. A new school was built beside Holy Trinity Church in 1867. A Plymouth Brethren meeting house was built in Quemerford in 1860. Quemerford once had at least four public houses: the Talbot Inn, the Wagon and Horses, the New Inn, later known as the Jolly Miller, and the Labour-in-Vain Inn. On the north side of the road, the Talbot Inn is a late 18th-century stone house. It was a working inn or alehouse as early as 1822, and is a charming public house which I have visited since 2008. The Wagon and Horses Inn once stood where there is now a row of 18th and 19th-century houses and cottages, numbered 373-377 Quemerford, including Queenborough Cottage, dated 1855. A red-brick public house built between 1867 and 1875 was first known as the New Inn. The buildings were altered in 1904, and the pub was still open as the Jolly Miller in 1999. It had closed by 2008. By the 19th century, the name Labour-in-Vain Hill had been given to the steep section of the London Road leading from Calne to Cherhill. The Labour-in-Vain alehouse is first recorded in 1763-1764 and 1828. There is no later evidence of its use as a public house, and it was probably converted into cottages on its site that were demolished in 1904. The farms in the immediate vicinity of Quemerford include Quemerford Farm, Quemerford Common Farm and Quemerford Gate Farm. Quemerford Farm stands on the ridge between the River Marden and River’s Brook, north of Quemerford Bridge. The farmhouse was built of stone on an L-plan in the late 17th century or early 18th century, and altered in the 19th century. In 1919, Lord Lansdowne sold Quemerford Farm (117 acres) to WA Higgs, who sold it in 1923 to Thomas Davis, who died in 1962. In 1979, his sons and trustees, HW Davis and NG Davis, sold Quemerford Farm (then 107 acres) to Mr Anthony Whinney, who refitted the house in the 1980s and was the owner in 2002. It was altered in the 19th century and refitted ca 1980. Today, the farm specialises in breeding Riversbrook Aberdeen Angus cattle. Quemerford Common Farm is an 18th century farmhouse with a three-bayed south front, and the farmhouse at Hayle Farm was rebuilt about 1800 with a Gothic porch and first-floor sashed windows with Gothic heads. In 1919, Lord Lansdowne sold Quemerford Common Farm (131 acres) to ML Bodman. It passed to JF Bodman, who died in 1969, and was offered for sale with 58 acres later that year. Quemerford Gate Farm was built in the mid-18th century, with a farmhouse rebuilt in a simple Tudor style in the later 19th century. In the mid-19th century, Quemerford had a population of 635 inhabitants. However, as Calne grew in the 20th century, the built-up area extended south-east of Holy Trinity Church to the River Marden at Quemerford and beyond. In the earlier 20th century, ten houses were built along the south-west side of London Road, and in the later 20th century estates of houses and bungalows were built off both sides of the road and in and off Stockley Lane. New houses were built in the 1990s in the grounds of Wessington House and of the Croft, and on the site of Ebor House in 2000. Moving into the 21st century, Quemerford’s residents were reportedly angry in 2005 over plans for Quemerford House, a Grade II listed building, and the surrounding grounds. The owner of Quemerford House, Bryce McDonnell, wanted to build 12 luxury homes in the paddock, but his neighbours said rare wildlife, including water voles, bats and owls, needed protection. The plans were debated at a meeting of North Wiltshire District Council in Calne. McDonnell also proposed building a guesthouse at Quemerford House. Quemerford House is near a nature reserve, and local residents were concerned about the ecological impact of the proposed buildings. A survey carried out by Chalkhill Environmental Consultants and paid for by McDonnell found no evidence of newts, reptiles or water voles on his property. His plans for a guest home at Quemerford House were rejected by one vote at a meeting of North Wiltshire District Council’s planning committee in November 2005. The property was being offered semi-furnished and was described as including: seven bedrooms, two bathrooms, two reception rooms, a large kitchen, a conservatory, a study, a utility room and cellar. The gardens and former paddock are laid to lawn and have mature specimen trees, including planted borders surrounded by box. The gardens’ southerly boundary is the River Marden, with 100 yards of river frontage which includes fishing rights. Although Quemerford is not mentioned in the Domesday Book and early Irish claims linked the Comerford family with Comberford in Staffordshire rather than Quemerford in Wiltshire, he claims this research draws on “ancient Irish manuscripts, the Domesday Book and a breadth of French medieval material,” and that the founder of the de Quemerfords and hence the Comerfords of Kilkenny was Fulco d’Aunou. He says Fulco was of a family of German Jews who lived in Apulia in the early 11th century and were encouraged to settle in Normandy by Duke Richard I in order to boost trade. Fulco was the son of Baldric le Teuton, while his mother was a second cousin of William the Conqueror. He claims knowledge of two documents where Fulco is a witness in the resolution of a dispute between William and the Pope. One of these was dated 18 June 1066, just months before the Conquest. However, a collection of manuscripts kept at Home House, Much Marcle, Herefordshire, at the beginning of the 20th century and now in the Wiltshire and Swindon Record Office at the Wiltshire and Swindon History Centre, Chippenham, greveals the true early origins of the Quemerford family in Wiltshire. These manuscripts originally belonged to the Fynamore or Phillimore family who lived at Whetham Hall, near Calne, and who came into possession of the manor of Comerford or Quemerford in the reign of Henry VII in the year 1504. They later passed to the descendants of the Phillimore family, the Money-Kyrle family of Whetham, Wiltshire. More recently, they were deposited in the Wiltshire and Swindon Record Office in Chippenham. From these manuscripts, it seems that the first member of the family using the name of Quemerford village as his own surname was Bartholomew de Quemerford, who was living ca 1230-1240. At that time, he granted certain lands and services in Stoke to William the Scrivener (Scriptori), or William the Scribe for 10 marks and an annual rent of one penny. The grant was witnessed by Walter de Bachamtune, Gilbert de Finemore, Symon Horn, Will Luvel, Reg Pal, Gilbert de Chelfurst[re], William and Hugh the merchants, Walter the baker, Rob le Limnere, Rich de Ponte, and Will de la Grene, clerk. In the early 1230s, Bartholomew de Quemerford, with the consent of his wife Maud, granted three crofts in Quemerford to Gervase, Abbot of Pershore Abbey, Worcestershire. Pershore Abbey is not known to have held land in Quemerford at a later stage in history. Around this time, Bartholomew de Quemerford also granted to Adam, son of Walter Chamberlong (Chamberlain), 6½ acres of land at Whetindon (in Langhelond, Maltelond, Wulvruneimere, Frogghefurlanghe, Gorfurlange, Brumelfurlang, Ellescubbe, and Holeweie), for 10 years, with power to sublet to any but “religiosi” or Jews. The two parties made an affidavit to observe this agreement “in manu Walteri de Kalest, capellani, coram viris discretis.” The witnesses were Osbert the chaplain of Cain (i.e. Calne), Simon de Caln (i.e. Calne), chaplain, Henry de Quemerford and Philip his son, William Luvel, Alexander de Tesewurthe, and Richard de Caln (i.e. Calne), clerk. Maxwell-Lyte mistakenly dates this grant to 1525. From other documents in the collection, it appears that this Bartholomew de Quemerford and his wife Maud had at least two children: a son Henry and a daughter Alteneya. Henry, son of Bartholomew de Quemerford, was living ca 1250 to 1260, when he sold a piece of land in Quemerford. The collection includes a manuscript that shows that Henry was paid half a mark for selling to Richard de Leicestre his black chief virgate in Quemerford above Homeputte. The sale was witnessed by a Philip de Quemerford, but there is no indication whether he was a brother or a son of Henry. The other witnesses were Walter de Calestone, Nicholas de Cynnoc, Walter de Bachamtone, clerk, Jocelin bailiff of the hundred of Calne, Gilbert de Finemore, Will Luvel, and Will de Calne, clerk. Many of these names already appear in the first document as witnesses to Bartholomew’s grant, showing the closeness of society in the Calne and Quemerford area at the time. The term “clerk” indicates a clerk in holy orders or priest, and Will de la Grebe and Will de Calne may have been the same priest. A round green seal was affixed to the document, and although the inscription was effaced, a star and a crescent could be seen at the beginning of the 20th century. I have already raised the possibility that the crescent could have been a rudimentary representation of the bugle horn that appeared with three stars on the coat of arms of the Quemerford or Comerford family of Callan, Co Kilkenny, 300 years later. However, as the rules of heraldry were hardly developed at that period, at least among the class of people from whom the Quemerford family was drawn, and as there is there is such a time-gap between this manuscript and the earliest tombstone in Co Kilkenny using such a coat-of-arms, the idea cannot be pursued further. A grant involving the “le Escriveyn” family ca 1260-1270 mentions the area of Quemerford. John le Escriveyn of Calne granted to Nicholas son of William le Escriveyn pasture for four oxen above Haylle and in all his other pastures in the community of Quomerford [sic], paying annually one penny. Bartholomew de Quemerford’s daughter, Alteneya, was living ca 1270-1280, when she made a quitclaim to William le Escrivyen of a rent of three half-pence from her lands in Quemerford. Instead, she was to receive one red rose each year at the feast of Saint John the Baptist in the vill of Calna, the town of Calne. This William appears to be the same William le Escryveyn, William the Scrivener or William the Scribe mentioned in the other documents relating to the family. William the Scrivener was one of the two first MPs for Calne in 1295, alongside William de Chelfurist (William of Chilvester), and was a man of considerable importance in Calne in the late 13th century, with large property holdings in the town and surrounding area. The transaction, with its romantic allusions, was witnessed by Henry son of Philip and by Walter son of Philip, both of whom I might presume to be the sons of Philip de Quemerford: Henry son of Philip appears at the same time as a member of the family and there is no other description of this Henry son of Philip in a Quemerford family document to distinguish him from a member of the family or from other contemporaries named Henry. The other witnesses of this quit claim were Gilbert de Finemore, Will de Patteford, John the Archer, Walter Sweyn, Roger le Draper, Hugh le Mercer, and John le Masun. At the same time, ca 1270-1280, we find Henry de Quemerford, son of Philip de Quemerford, holding property in the Quemerford area. As Henry Phelip of Quemerford, he paid John Wither 20 shillings for an acre in a field called Yvindona, in the cultivated land called Bremerforlang, in Quemerford. The land was subject to an annual charge of one half-penny, and the sale was witnessed by Sir Roger de Calestone, knight, Roger de Stodlaye, William the Scribe or le Escriveyn, John and Henry the Archers, Will de Patterford, Henry Barth, Henry Pinnoc and Walter Andrew. On 2 February 1272 (i.e., 1273) Henry Phelip of Quemerford, William the Scribener and others were witnesses to a lease by the Finemore family to Robert de Rode. The lease also mentions that at the time the Rector of Calne was Treasurer of Sarum – the Cathedral of New Sarum or Salisbury had been completed just a few years earlier in 1266, and the Sarum Rite, which was developing at this time in the cathedral, had considerable influence on the liturgy in the Book of Common Prayer. Henry Phelip of Quemerford was still living a decade later, ca 1280-1290, when he was among the witnesses to a quit claim of land involving the Finemore family. After this time, there are few records of the Quemerford family living in the area around the village from which they took their name. In September 1310, we find the Avenel family of Thazewarde (Tasworth), Calne, leasing lands in Churiel [Cherhill] and Quemerford to the Bartelot family, and the last mention of the Quemerford family in the area is on 17 March 1344, the Wednesday after the feast of Saint Gregory the Pope, in the 18th year of the reign of Edward III, when Nicholas de Quemerford made a grant at Calne to Robert de Huggerford of all his lands and tenements in Quemerford in return for an annual rent of 20 shillings. The Butlers of Kilkenny also held extensive land holdings in Wiltshire, and the 5th Earl of Ormond was made Earl of Wiltshire in 1449. And so, it might be easy to speculate that through the Butlers’ links with Wiltshire, or the trading and commercial links between Bristol and New Ross, the Quemerford family moved to Callan, Co Kilkenny in the early 14th century. However, Adrian Empey points out that the Butlers had no direct interest in Callan before they inherited the Dispenser share of the manor in 1391. Instead, over 100 years ago, the Calne historian, AEW Marsh, identified a notable movement of people from Calne to Ireland at the end of the 13th and beginning of the 14th century. William de Dene was seneschal of Ossory (Kilkenny) ca 1255 and ca 1260; sheriff of Wexford between 1241 and 1245, when he witnessed three of Walter Marshal’s charters to Dunbrody; and Justiciar of Ireland, 1260-1261. He fought at the Battle of Callan in 1261 and died in that year, perhaps from wounds received at Callan. By the beginning of the 14th century, it appears that Philip of Cummerford or Philip de Quemerford was living permanently in Co Kilkenny. According to the Estreats of Kilkenny, on the Thursday after the feast of the exaltation of the Holy Cross in 1326 Philip de Quemerford was fined for an unknown sum along with others at Kilkenny. He appears to have been the father of both Thomas fitzPhilip de Quemerford and John de Quemerford, who were living in the same area a generation later. John de Quemerford was living at Earlstown in the Barony of Shillelogher, Co Kilkenny, on 12 February 1346, when he was a witness to a grant by Matthew Eyleward to Maurice, son of William “le Whyte”, of an acre of land at Langeland in Erleystown, and on 2 April 1346, when he witnessed a further grant by John Whyte to Maurice le Whyte of five acres in Tybryneken in the Barony of Erley. Twelve years later, in 1358, according to Blake Forster’s pedigree quoted by Healy, he was appointed under a warrant from King Edward III to collect a subsidy from Kilkenny in the war against Art O’Kavanagh. John de Quemerford was a contemporary, and apparently a brother of, Thomas fitzPhilip de Quemerford, who was living in Kells, Co Kilkenny, in June 1350. On 1 June 1350, he granted to William fitzRichard Coterel of Kells a house with appurtenances in the middle of the town of Kells, “to have and to hold to him and his heirs of the chief lords of the fee by the services due and accustomed.” This grant was supplemented some days later by a quit claim from Thomas fitzPhilip Quemerford to William fitz Richard Coterel of Kells, and his heirs for ever, of all his rights in a house with appurtenances on the main street (in medio vico) of Kells, “which he has of the gift and enfeoffment of John Martyr of Kells”. Both deeds had a seal attached to them, and this seals were still perfect earlier in the 20th century. Then a generation or two later, we find both Philippus Quemerford, who was assessor for the town of Kilkenny in 1420, and William de Quemerford, who held lands in Callan, Co Kilkenny, on lease from the Earl of Ormond in 1411. He appears to have been the same William de Quemerford or Willemus Comerford who was a burgher of Kilkenny and who witnesses two civic documents in the Kilkenny City archives on 28 May 1406, and on 6 October 1419, and who was assessor for the town and city of Kilkenny ca 1421. In November 1411, William Quemerford held lands on lease in Callan from James Butler, 4th Earl of Ormond (the “White Earl”), at an annual rent of three shillings and four pence, and he was still in possession of them on 25 April 1412. This William Quemerford appears to have been the father of Richard de Quemerford of Maioweston, Callan, who held his lands from the Earl of Ormond at a chief rent of 16 pence, and who was in possession of them in Michaelmas 1434. William Quemerford was a contemporary of Fulk Quemerford, Mayor of Waterford in 1443 and 1448. Both Fulk Quemerford and Peter Forestall were killed at Tramore, Co Waterford, on 19 June 1452, when they both led the citizens of Waterford in a pitched battle against the Powers of Waterford. In the century that followed, branches of the family became established in Ballybur, Callan, Inchiholohan, Ballybur and Ballymacka in Co Kilkenny. By the mid-15th century, members of the Callan and Inchiholohan or Castleinch branch of the family were prominent in the civic life of Waterford city, and soon after members of the family were living first in New Ross and later throughout Co Wexford. Shelley (1874), quoted in Kennedy (1874), p. 462; W. Healy, History and Antiquities of Kilkenny (County and City), 2 vols (Kilkenny, 1893), vol 1, p 61; C.ff. Blake Forster, Irish Chieftains (McGlashran & Gill, 1872), p. 476, n. 68. For example, see Journal of the Association for the Preservation of the Memorials of the Dead, 2 (Dublin, 1895), pp 146-148. The pedigree registered for Joseph Comerford of Anglure by Sir William Hawkins on 22 April 1724 gives Roger de Comerford, Baron of Danganmore, as the first ancestor of the family and marries him, rather than Sir Henry, to Ann, daughter of Sir Hugh de Lacy. JGA Prim, ‘The Wayside Crosses of Kilkenny’, RSAIJn i (1850), pp 168-185. See DP Adams, The Moat House and the Comberford Family (privately published, Tamworth, 1967). GD Burtchaell, Genealogical Memoirs of the Members of Parliament for the County and City of Kilkenny (Dublin, 1888), p. 19. GO Ms. 160, ff 102-104. National Gazetteer (London, 1868), 1, p. 454; 2, p. 269; JE Jackson (ed), Wiltshire: the topographical collections of John Aubrey (Devizes: Wiltshire Archaeological and Natural History Society, 1862), p. 33; Calne Town Guide (Calne: Calne Town Council, n.d., ca 2007); Patrick Comerford, visit to Quemerford and Calne, latest visits, 9-10.4.2008; 28-30.7.2009; 18.9.2012. Victoria County History (VCH) Wiltshire, vol 17 (2002), pp. 51-79, citing Bowood Mun., reg. of property sales, 1862-1962, p. 80. VCH Wilts 17 (2002), loc cit, citing Wiltshire Record Office (WRO) 1409/109; and information from GR Hoddinott, Lickhill Farm. VCH Wilts 17 (2002), loc cit, citing Bowood Mun., map 22; ibid., survey of tithable lands, 1728; WRO, tithe award. VCH Wilts 17 (2002) ‘Calne: Manors and other estates,’ loc cit, citing WRO 1008/6; ibid tithe award. Jackson (ed), Wiltshire … (1862), p. 37; AEW Marsh, A History of the Borough and Town of Calne (Calne: Robert S. Heath and London: Castle, Lamb and Storr, 1903), pp 3-4; Eilert Ekwall, The Concise Oxford Dictionary of English place-names (Oxford, 1936), pp 359 and 296. Jackson (ed), Wilshire … (1862), p. 37. Ekwall, quoting Rotuli de Oblatis et Finibus, Rec Com, 1835. Ekwall, quoting The Book of Fees (Rolls Series, London, 1920-1931). Ekwall, quoting Salisbury Charters, Chronicles and Memorials of Great Britain and Ireland during the Middle Ages (Rolls Series, London, 1858 ff). Ekwall, quoting Inquisitiones Post Mortem. Marsh, p. 3; RJ Downham, FC Eley and PQ Treloar (eds), Calne in Camera (Calne: Calne Borough Council and Picton Publishing, 1974, 2003 reprint), p. 1; Calne Town Guide (ca 2007), pp 7, 10. Lewis (1, 1842), pp. 468-469; Marsh, pp 15-16. National Gazetteer, 1, p. 454; Marsh, passim; Calne Town Guide (ca 2007), p. 10. Lewis (i, 1842), pp 468-469; Marsh, passim. Marsh, passim; Patrick Comerford, visits to Calne, latest visits 9-10.4.2008, 28-30.7.2009, 18.9.2012. Marsh, passim; Calne Town Guide (ca 2007), p. 10; Patrick Comerford, visits to Calne, latest visits 9-10.4.2008, 28-30.7.2009, 18.9.2012. National Gazetteer, i, p. 455; Marsh, passim. Marsh, passim; Patrick Comerford, visits to Calne, latest visits, 9-10.4.2008, 28-30.7.2009, 18.9.2012. Marsh, passim; Peter Treloar, Calne in Pictures (Calne: Calne Town Council, 1982, 2003 reprint), pp 6-7; Calne Town Guide (2007), p. 10. Downham, Eley and Treloar (1974), p. 15; Treloar (2003), pp 8-13, 40-41; Punch, 1 August 1984; Peter Treloar, A fourth book of historic pictures of Calne in Wiltshire (Calne: Calne Town Council, 1988), no page numbers; Calne Town Guide (ca 2007), p. 13. Patrick Comerford, visits to Calne, latest visits, 9-10.4.2008, 28-30.7.2009, 18.9.2012; Calne Town Guide (ca 2007), p. 11. VCH Wilts 17 (2002), loc cit, citing Cal. Inq. p.m. Hen. VII, ii, pp 549-50; iii, p. 436; PRO, C 142/31, no. 53; ibid. Prob 11/39, ff. 364v.-365. VCH Wilts 17 (2002), loc cit, citing Wilts Pedigrees (Harl. Soc. cv/cvi), 21-2; PRO, C 2/Eliz. I/W 21/25; ibid. PROB 11/230, f. 161; Prob 11/ 301, ff 230-1. VCH Wilts 17 (2002), loc cit, citing P. Buckeridge and JD Pocock, Pinhills, 25-28. VCH Wilts 17 (2002), loc cit. Money-Kyrle Family papers, Chippenham, 1720/148; HMC, 4 (1907), p. 110. HMC, 4 (1907), p. 115. Money-Kyrle Family papers, Chippenham, 1720/50; HMC, 4 (1907), p. 117. VCH Wilts 17 (2002), loc cit, citing Bowood Mun., map 19; ibid. survey of tithable lands, 1728. Money-Kyrle Family papers, Chippenham, 1720/268. Money-Kyrle Family papers, Chippenham, 1720/299; HMC, 4 (1907), p. 126. Money-Kyrle Family papers, Chippenham, 1720/421; HMC, 4 (1907), p. 126; VCH Wilts 17, ‘Calne: Manors and other estates,’ loc cit, citing Bowood Mun., map 27; ibid. survey of tithable lands, 1728. VCH Wilts 17 (2002), loc cit, citing WRO, A 1/345/69; ibid. Inland Revenue, val. reg. 37; ibid. tithe award; ibid 1008/6. VCH Wilts 17 (2002), loc cit, citing WRO 1409/133; and information from Mr M. Bell, Penn Hill Farm; Mr R. Clark, Dugdale’s Farm, Compton Bassett. VCH Wilts 17 (2002), citing information from Mrs EG Beckett, High Penn Farm. VCH Wilts 17 (2002), citing Bowood Mun., survey of tithable lands, 1728; WRO 1171, map 2. VCH Wilts 17 (2002), citing WRO, tithe award. Debrett’s Peerage, various eds, s.v. Lansdowne; VCH Wilts 17 (2002), citing VCH Wilts 13, p. 218; WRO 1081/103. VCH Wilts 17 (2002), citing Wiltshire Pedigrees (Harl. Soc. cv/cvi), 21-2; PRO, C 2/Eliz. I/W 21/25; ibid. Prob 11/230, f. 161; PROB 11/ 301, ff 230-1. VCH Wilts 17 (2002), loc cit, citing P. Buckeridge and JD Pocock, Pinhills, 25-8; VCH Wilts 17 (2002), loc cit. Patrick Comerford, visits to Quemerford House, latest visits 9.4.2008, 29.7.2009, 18.9.2012; Department of the Environment, List of Buildings of special architectural or historical interest, District of North Wiltshire, Wiltshire (Calne area), photocopied, bound typescript, dated 8.7.1976, Calne Library, CAL 720/238152, f. 55; VCH Wilts 17 (2002), citing WRO 2140/54; ibid. G 18/154/8. VCH Wilts 17 (2002), loc cit, citing WN & Q viii. 151; WRO 546/264. VCH Wilts 17 (2002), loc cit, citing Bowood Mun., Lab 3/ 3/10, schedule of estates assigned in 1802; particulars of sale, 1808; WRO 1171, box 13, plan of Pinhills, 1809; Complete Peerage vol 7, pp 436-439. Patrick Comerford, visit to Quemerford, including Quemerford Lower Mill and Quemerford Upper Mill, latest visits 9-10.4.2008, 28-30.7.2009, 18.9.2012; Downham, Eley and Treloar (1974), p. 56; Treloar (1988), no page numbers; VCH Wilts 17 (2002), loc cit. Patrick Comerford, visits to Quemerford, latest visits 9-10.4.2008, 28-30.7.2009, 18.9.2012; VCH Wilts 17 (2002), loc cit; DOE ts (1976), f. 51. Peter Treloar, Calne Revisited (Calne: Calne Town Council, 1999), # 94; VCH Wilts 17 (2002), loc cit. VCH Wilts 17 (2002), loc cit; Marsh, p. 179. Patrick Comerford, visits to the Talbot Inn, Quemerford, 9.4.2008, 29.7.2009, 18.9.2012; see early 20th century photograph of the Talbot Inn in Treloar (2003), p. 22; VCH Wilts 17 (2002), loc cit. DOE ts, Calne Library (1976), f. 51; VCH Wilts 17 (2002), loc cit; cf. Andrews and Dury, Map (WRS viii), pl. 11. Patrick Comerford, visit to Quemerford, latest visits 9-10.4.2008, 28-30.7.2009, 18.9.2012; VCH Wilts 17 (2002), loc cit. Patrick Comerford at Quemerford Farm, 10.4.2008, 30.7.2009; VCH Wilts 17 (2002), loc cit, citing Bowood Mun., Lab 3/3/10, list of lands purchased 1809-1863. Patrick Comerford, visit to Quemerford, latest visits 9-10.4.2008, 28-30.7.2009, 18.9.2012; VCH Wilts 17 (2002), loc cit, citing 42 PRO, Prob 11/187, f. 395. VCH Wilts 17 (2002), citing RC Hoare, Hungerfordiana, 22; PRO, Prob 11/325, ff 93-94v., where both names of the estate are given. VCH Wilts 17 (2002), citing Bowood Mun., map 27; ibid., survey of tithable lands, 1728. VCH Wilts 17 (2002), loc cit, citing Bowood Mun., map 19. VCH Wilts 17 (2002), loc cit, citing J. Waylen, Hist. Devizes, pp 205, 208; cf. VCH Wilts 5, p. 141. Samuel Lewis, Topographical Dictionary, 3, p. 602. Treloar (1999), # 99; VCH Wilts 17 (2002), loc cit. Wiltshire Gazette & Herald, 28.4.2005. Wiltshire Gazette & Herald, 6.10.2005. Wiltshire Gazette & Herald, 17.11.2005. Information from John E. Comerford; http://en.wikipedia.org/wiki/User:Jack_d%27Or (30.6.2007); ‘A synopsis of Corrie family ancestry & history 998 - present (2007),’ http://www.corriebusinessgroup.com/research/corrie.php (30.6.2007); ‘Comerford Family History,’ http://comerford1.tripod.com/, (21.4.2008). Money-Kyrle Family Papers, Chippenham, 1720/50; HMC, iv, 1907, pp 98-99. VCH Wilts 17 (2002), ‘Calne: Manors and other estates,’ loc cit, citing Bowood Mun., map 19; ibid. survey of tithable lands, 1728; WRO 1171, Box 8, survey of tithable lands, ca 1760; National Archives, E 210/3693, Exchequer Records, King’s Remembrancer, Ancient Deeds Series; HC Maxwell-Lyte, A Descriptive Catalogue of Ancient Deeds, vol 1 (1890), pp 21-33, Deed A 238, quoted in ‘Deeds: A 201 – A 300,’ pp 21-33; see http://www.british-history.ac.uk/report.aspx?compid=64194 (23 June 2008). Money-Kyrle Family Papers, Chippenham, 1720/54; HMC iv (1907), p. 99. Patrick Comerford, “The Comerford Family ... origins,” Old Kilkenny Review 24 (1972), p. 32. HMC, iv (1907), p. 100. Money-Kyrle Family papers, Chippenham, 1720/67; HMC, iv (1907), p. 101. Marsh, pp 12, 26, 41-42. Money-Kyrle Family papers, Chippenham, 1720/65; HMC, iv (1907), p. 101. HMC, iv (1907), p. 102. EA Livingstone (ed), The Concise Oxford Dictionary of the Christian Church (Oxford, 2000), p. 513. Money-Kyrle Family papers, Chippenham, 1720/82; HMC, 4 (1907), p. 104. Money-Kyrle Family papers, Chippenham, 1720/92; HMC, iv (1907), p. 104. Money-Kyrle Family papers, Chippenham, 1720/133; HMC, iv (1907), p. 108. Duiske Charters, no. 59; Pipe Roll, 45 Henry III. Chart. St. Mary’s, Annals, 2, 316; Orpen, 3, 139, 142. Cal. Just. Rolls, I, 383, 402. E. Curtis (ed), Calendar of Ormond Deeds, 6 vols (Dublin, 1932-1943), 1, p. 247. Healy 1, p. 61, quoting Blake Forster, p. 476, n. 68. Ormond 2 , #181, p. 126. HG Richardson and GO Sayles (eds), Parliaments and Councils of Ireland (Dublin 1947), vol 1, p. 132. Ormond 2, pp 301, 311; C. McNeill (ed), Liber Primus Kilkenniensis (Dublin, 1931), pp 87, 89; Richardson and Sayles, p. 177. Ormond 2, pp 301, 311. Last updated: 27 June 2008, 31 July 2009, 7 August 2009; 18 February 2011; 5 and 23 May 2012; 31 July 2012; 20 September 2012; 24 July 2014; 25 August 2016. Comerford to Comfort in America?? My ancestor Robert Comfort lived in N.Y.(Manhattan) in early 1700ss but origins in Europe are unknown-- other than he was Scot-Irish. Was Comfort a later form? I would like to know the name of the parents of my 2 greats-grandfather, Peter Comerford (1797-1877)who came from Kilkenny, Ireland about 1833 to Canada. He was a travelling tailor. He entered NY from Canada. His son, Thomas D. Comerford was born in Onondaga Co, NY in 1840. His wife was Margaret (1800-1875). Can you help me make a connection back to Peter's parents?